For Name and Location select the golden button to the left "Get Name/Address"
This is priced for a fast sale. It just fell out of escrow. Owner must sell now and we've priced it to sell fast. Business has been upgraded in the past year, so there is little you need to do other than work the marketing and advertising side of the equation. This Business has been growing and the latest monthly sales are in the $32,000 range according the owner, making this a nice business. Margins in the pool hall business are high. 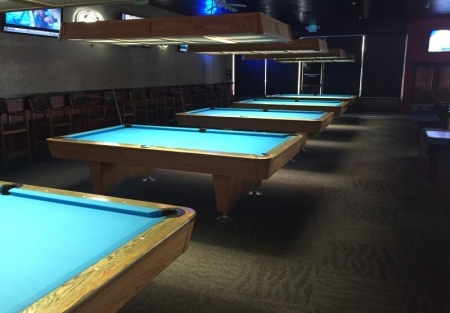 So, if you know the billiards business, then you know the margins are high in this business. A good operate can earn $10.000 a month from this volume. Sure the rent is high, but there are 7,200 Sq. Ft. of prime retail end-cap unit space, with fantastic street appeal and visibility, driving those sales to new levels. No financials to be given at this price. You are welcome to observe the business, but don't ask for numbers. Business is in process of getting out of the current escrow and Buyer's offer is contingent on cancelation of this escrow, but we won;t that slow down the ABC or landlord process. Let's get this ready for you to take over! Friday and Saturday Until 2am. Open Saturday and Sunday at noon.